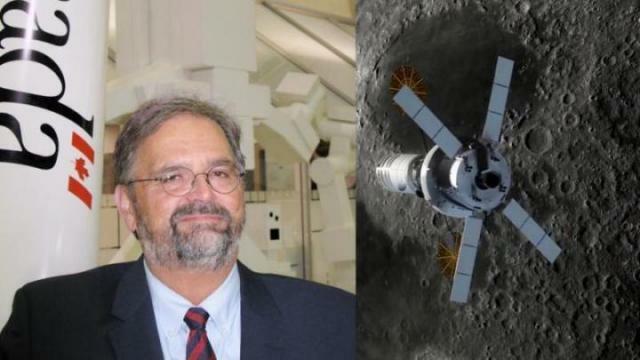 The Canadian Space Agency’s head of space exploration is looking at how the CSA could contribute to a planned mini space station that would orbit the moon. Gilles Leclerc says Canadian robotics could play a key role on the Deep Space Gateway. The CSA is working to develop robotic arms as its contribution to a small lunar outpost to be built by international partners in the next decade. American and Russian space agencies signed a statement long-term space projects, which focus on the so-called deep space gateway. The small space station would be placed in orbit between the Earth and the moon. “For Canada, the challenge right now is to identify what our contribution could be to humanity’s next step in human exploration,” said Gilles Leclerc, the Canadian agency’s head of space exploration. Canada and the world’s space agencies are committed to the International Space Station until 2024. The next destination would be the lunar station — a platform to serve as a staging point to travel to the moon’s surface and eventually, further away. “The ultimate destination for all partners … is Mars,” Leclerc said. A natural fit for Canada’s contribution would revolve around robotics. Paul Fulford, MDA’s product development manager, said the current concept involves an eight-metre manipulator arm and a smaller one-metre arm. “The CSA are asking that we explore the notion of a small multi-purpose arm — one that could work inside the space station and possibly on the surface of the moon as well,” he said. “There’s going to be at least three missions to construct the deep space gateway from 2020 to 2026,” Leclerc said, after which the station would be manned. Canada’s newest astronauts, Jennifer Sidey and Joshua Kutryk, started basic training last month and space flight is at least five years away. It comes as the federal government works on a new space strategy, following consultations earlier this year by Canada’s Space Advisory Board. It released a report suggesting Canada’s space industry has “lost ground” with rapidly changing environment and substantial space investments by other countries.